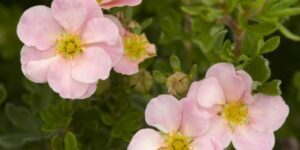 Soft Pink Draws Butterflies The Pink Beauty Potentilla is an ornamental, deciduous shrub known for its prolific blooming. 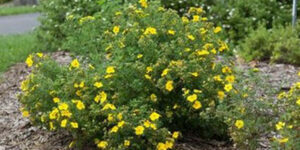 Plant a few as a decorative shrub border or along a walkway. 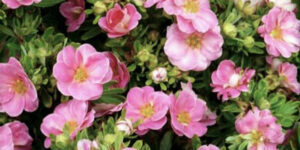 Your Pink Beauty Potentilla is a cute little shrub that will surprise you with its abundance of blooms. 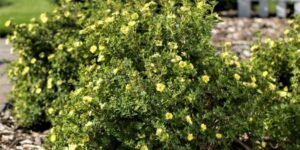 It also has fern-like, compound foliage that together with the pink flowers softens its appearance and sets it off from other harsher landscape plantings. The Pink Beauty grows about three feet tall with an equal spread. 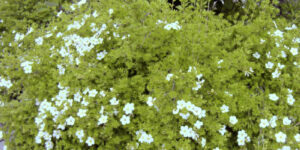 Its luscious, bright green foliage provides the perfect backdrop to the flowers that begin to form in late spring. When you notice the first scattering of delightful pink flowers with yellow centers, you’ll be pleased. However, soon you’ll be overwhelmed as the adorable pink blossoms continue to cover your shrub, and remain all summer long. 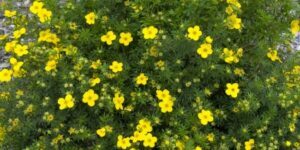 Your Pink Beauty Potentilla’s foliage turns a lively shade of yellow-green in the fall, continuing to accent the pink blooms that will persist until the first frost. 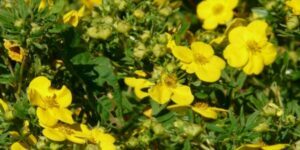 This shrub really packs a lot of beauty into its small size, and isn’t at all demanding of your time or energy. 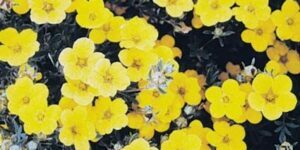 It’s hardy and tolerant of a wide variety of conditions. It attracts butterflies, but deer tend to leave it alone. 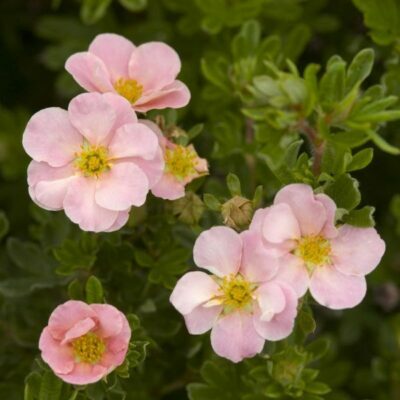 If you want a shrub that takes little room, requires almost no care, and will provide exquisite beauty all summer long, the Pink Beauty Potentialla is for you.